This Friday there are number of Hindi movies are being released at box office, but among them only one is notable i.e. 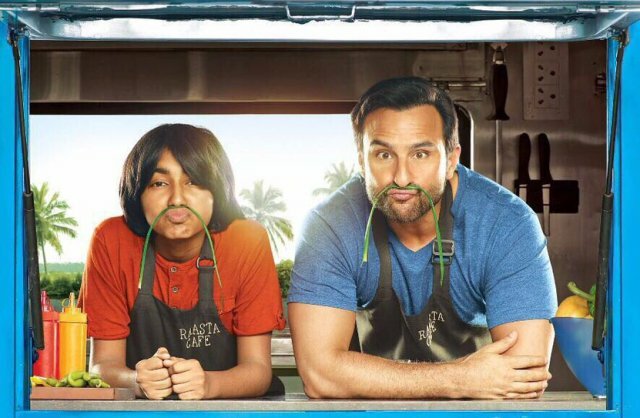 Saif Ali Khan starrer Chef. Directed by Raja Krishna Menon, it is the official remake of American movie Chef with certain changes in the story to make it entirely Indian. 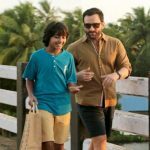 The Indian version of director Jon Favreau’s Chef starring Saif Ali Khan, Padmapriya Janakiraman and child actor Svar Kamble in lead roles. With it’s promos, the movie made decent impact on viewers and seems able to attract only multiplex audience. This is the reason, makers releasing it on controlled number of screens. The original one was received good reviews from critics ofcourse because of rich content and emerged as hit. But that content doesn’t seem effective for Indian audience as per previous records. Still being directed by Raja Krishna Menon, it is expected to connect with Indian viewers rightfully. Raja’s last venture was 2016’s Airlift, which was received huge appreciation from critics as well as audience. Talking about Saif’s previous records, then his last offering was period drama Rangoon that didn’t perform well at box office and registered the opening of only 5.05 crores. Also last week released Varun Dhawan’s Judwaa 2 has good hold over the audience. So considering all the facts and figures, Chef seems capable to open in range of 3-4 crores domestically. It could take decent jump over the weekend, if viewers react in favor.